With Work Orders Unlimited you can mix any type of property into your portfolio: commercial, residential, medical, industrial, mix-use, facilities, franchise. It doesn’t matter. All properties mesh seamlessly and management of them is transparent. You can map your employees to only the properties then need access to. Which means that, a manager in San Francisco can manage a portfolio in Chicago, New York, Paris, Madrid, or any other place in the world, all from a central location, on a central platform. You can also Manage Equipment by building, store building specific documents and pictures and create work order right from the building management center. 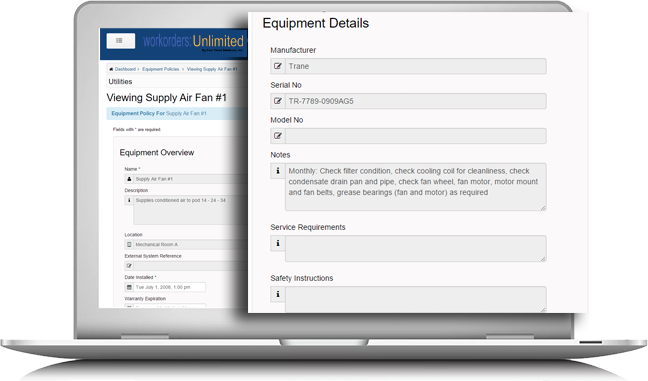 Work Orders Unlimited stores all of the most important equipment detail you need and provides it to you and your team. In addition to the Name, Description & Location, Work Orders Unlimited also keeps track of the Install Date, Warranty Expiration Date, Manufacturer, Model Number, Serial Number, Service Requirements, Safety Instructions and Meter Reading. 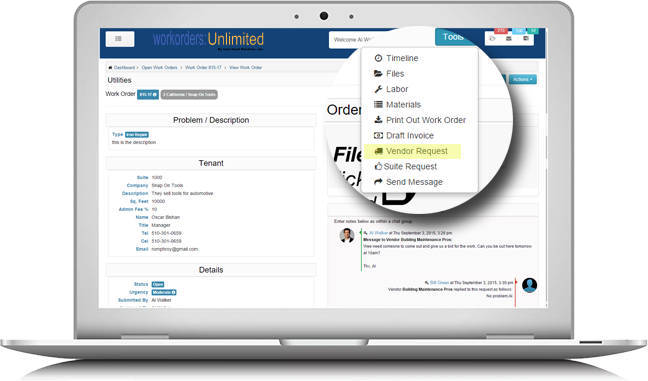 The Work Orders Unlimited Projects module can be useful for whatever type of business you have. Whether you run large projects or just want to keep track of smaller, shorter jobs, the Projects option has everything you need. You can tailor it to fit your business, whether you work with products or services. Work Orders are grouped by the Project they are created for. 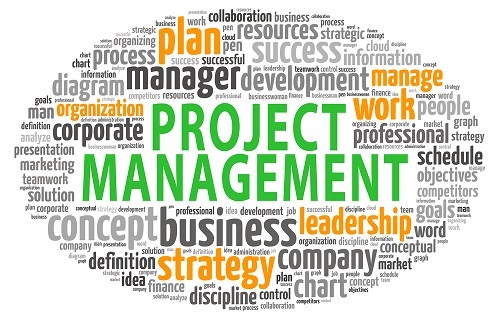 This enable you to determine the quality of the products associated with that Project and any items that fail. 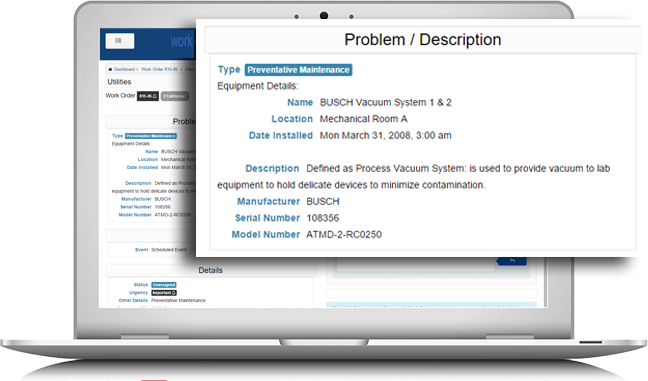 This enable you to monitor product quality and rectify any problems. Buildings can be assigned to Projects. This enables you to manage clients, like small municipalities or Property Managers and group their Buildings by Projects. So rather than monitoring the efficiency of individual Properties, you can monitor the efficiency of multiple Buildings connected to the Project. 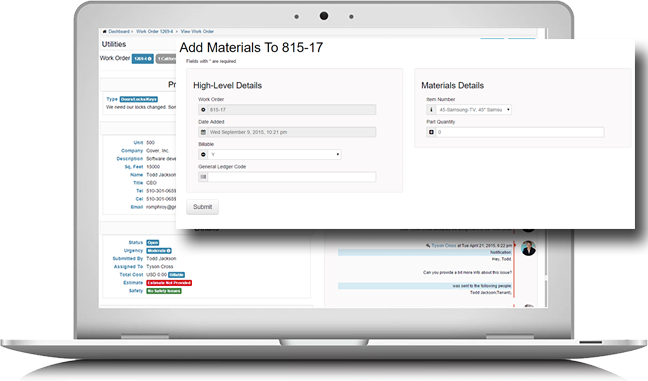 This module helps manage your Vendors with a standardized process, providing transparency into your organization third party relationships. Our Vendor profile management helps to minimize the amount of time, effort and resources devoted to managing Vendor data, like setting up their information, Vendor contacts and types of work they do. This may include payment methods, tracking of Vendor performed Work Orders, histories. For each Vendor you can set up one or more contacts, with the relevant contact information, which the system uses to generate automatic email notifications of work to be performed. Each Vendor contacts is mapped to the Locations (Properties) they are allowed to work in and the Work Types they are able to perform. 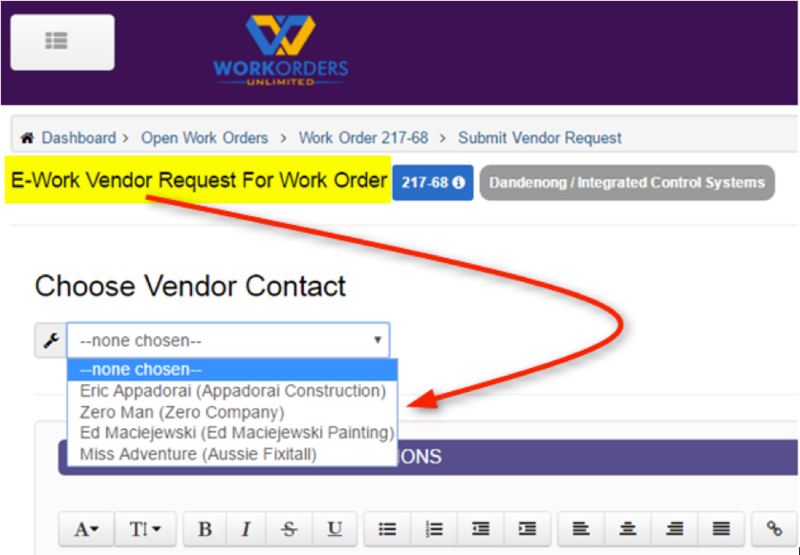 The strength of this feature, is that when you send an E-Request to a Vendor from a Work Order, even though you might have hundreds on Vendors created in the system, the Work Order E-Request feature, will present you with only the limited list of Vendors who are allocated to that Location & who can perform that Work Type. Workordersunlimed.com’s Work Order Management module is the heart of our offering. 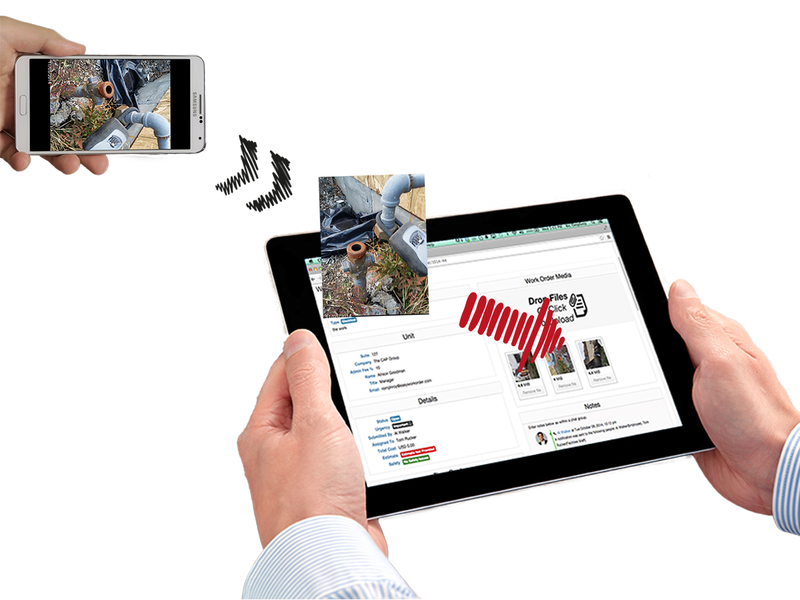 It has powerful, yet easy to use features that make managing the flow of property & facilities work a breeze. Its intuitive interface and its time saving features like: Built-in Mobility, e-Work Requests, e-Vendor Replies, Drag-and-Drop Pictures, reduce projects to simple tasks that require little more than a few seconds and a few mouse clicks. 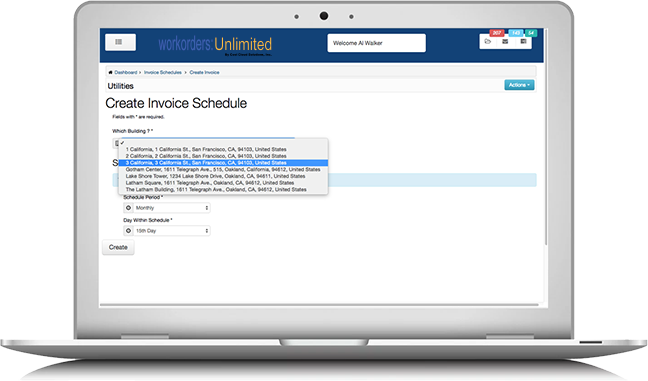 Work Orders Unlimited keeps you on task and on time. Work Orders Unlimited tracks the running chronology of activity in a work order. At any given point, you can see what has been done, by whom and when it was done. 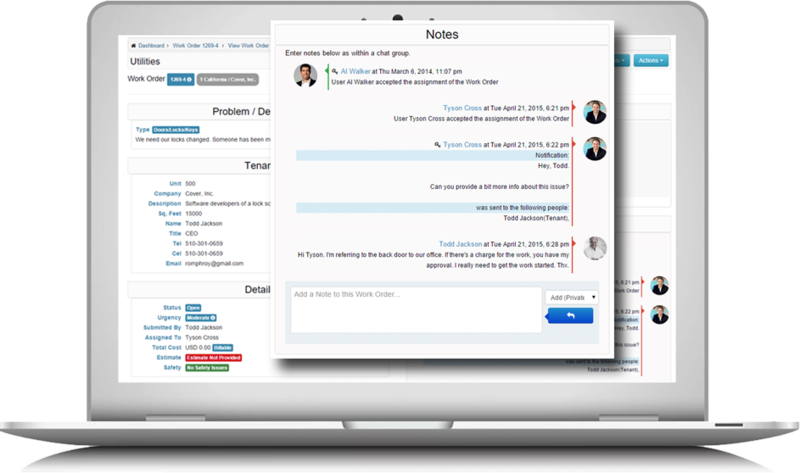 This makes it easy for your team to jump into any work order and come up to speed almost immediately. This is the latest in our series of Advanced Features. 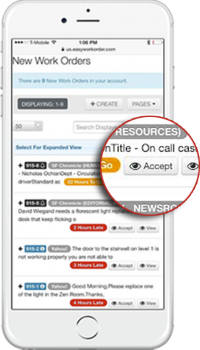 This enables you to create Work Orders using text messaging on your cell phones. Imagine that you are no where near a computer. You could be driving to an appointment in another location or another city: you could be in an airport: you could be a Building Engineer at a work site: you could be a Tenant who's water pipes have just burst and you have no access to your computer --- what do you do? How do you get help? 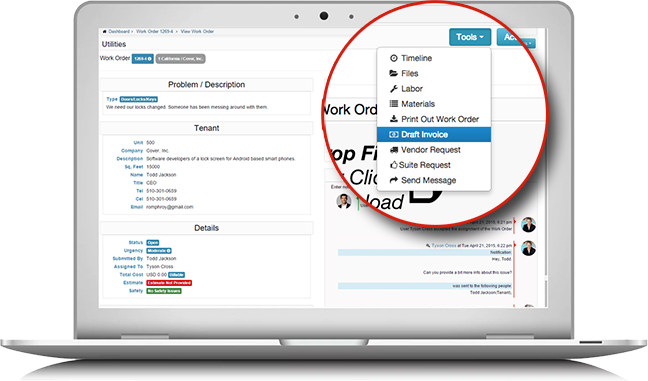 How do you create a Work Request to your Property Manager or even a Vendor? 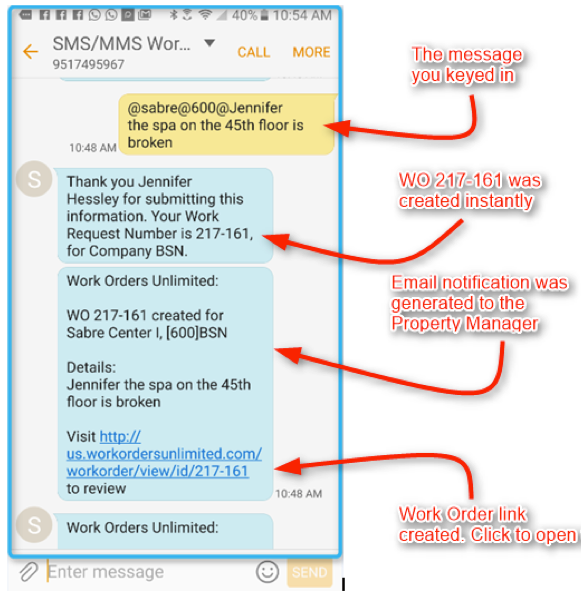 SMS / MMS Work Orders takes care of this in seconds. You take out your cell phone, create a short text (WITH or WITHOUT PICTURES) describing the problem & hit the SEND button. 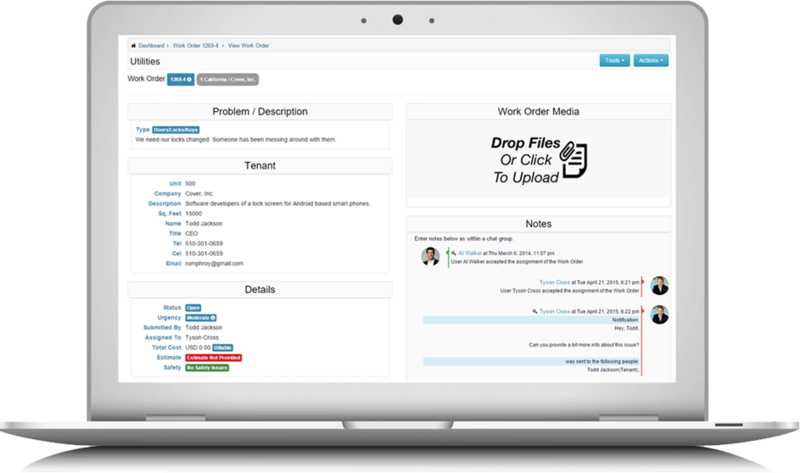 A Work Order is created instantly and an email notification is automatically generated to the Property Manager. And you did not even have to touch your computer. One of our potential users will refer to this internally as "Voice Activated Work Orders." He is constantly on the move in his Building that has over 250 Units. Currently he writes problems on a notepad. At the end of the day, he transfers these to his very inefficient and old work order system. The information on his notepad often can't be read, some problems he can't even recall & for others he does not remember the Unit where the problem occurred. Using our "Voice Activated Work Orders," he will be rid of his notepad, he does not need his computer to create the WO's, he just talks to his text messaging app, which recognizes the Building / Unit concerned and optionally takes pictures. His work orders are created instantly! This would save him several hours a day and increase accuracy significantly. 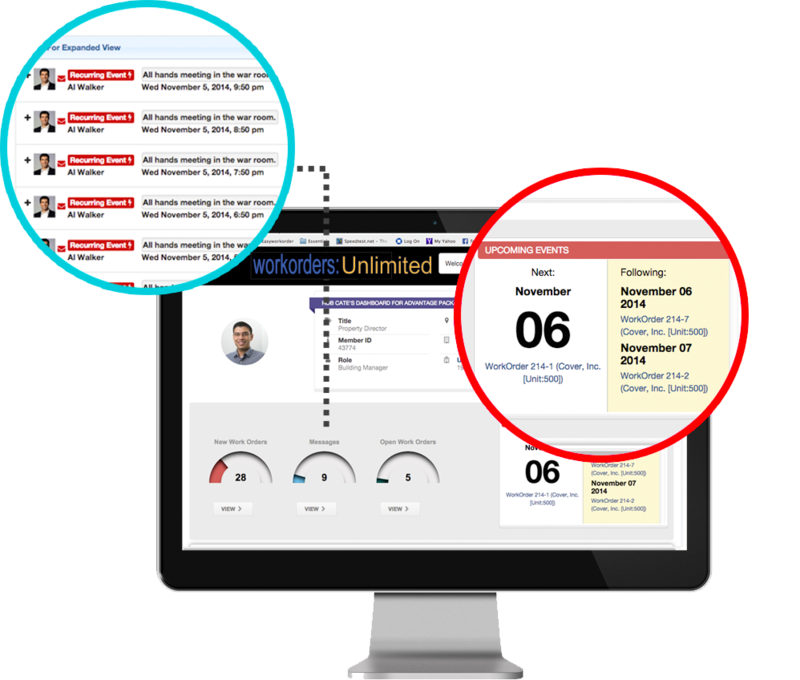 Work Orders Unlimited creates an environment of effortless engagement of business activities. When Preventative Maintenance is due it’s critical that it gets done. 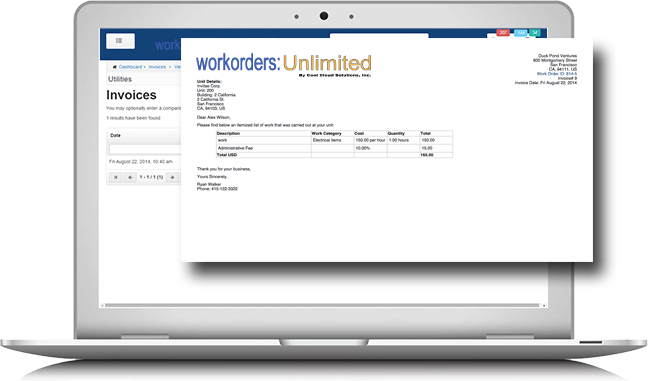 Work Orders Unlimited makes sure that no preventative maintenance slips through the cracks by allowing for a list of important people to be notified in advance of when the work is due. 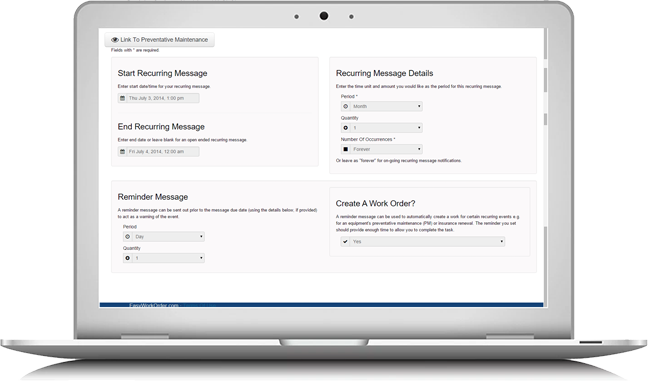 We also take scheduling PM a step further by selectively allowing for work orders to be created when the work is due. Selectively automate the creation of PM work orders. 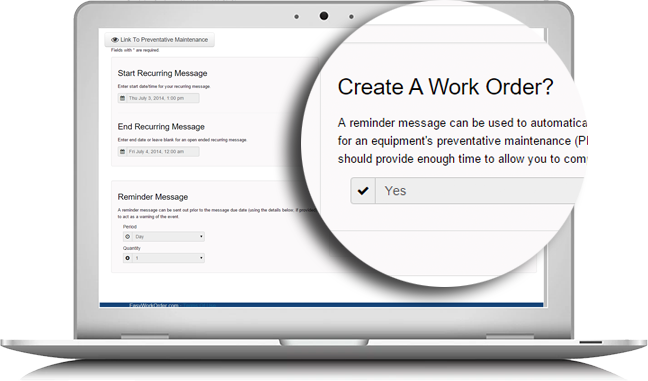 Set this once and Work Orders Unlimited handles the reminding you when PM is due…for ever. Once PM is due, your staff can go directly to the work orders that Work Orders Unlimited created for the asset and complete the work. All of the relevant PM information is available: service requirements, safety instructions and any other important notes. In the WOU system, when you define Units, you can specify to "Allow Unit On Event Scheduler." These could be Units (Offices, Rooms, etc) that are conference rooms, meeting rooms, or some other Resource, etc. You are then able to use the system's Event Calendar to reserve these "Resources" to schedule meetings, events, workshops, or any other kind of activity. The system allows you to invite attendees. 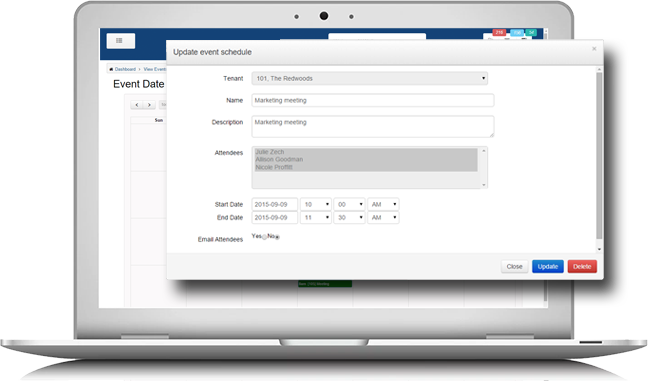 The Event Schedule has drag & drop features to move events from one day to another. Email notifications are automatically generated to all attendees. 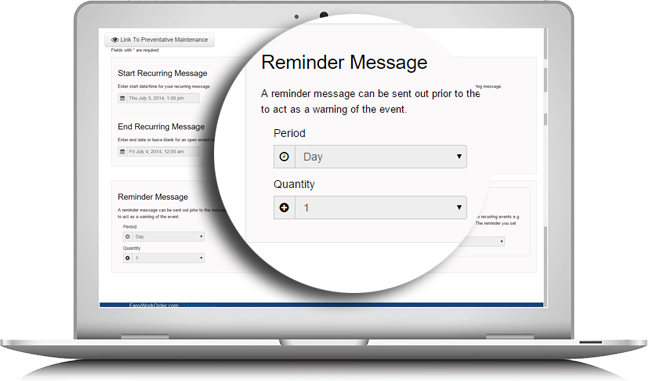 Quickly add events, selecting which users to invite and the date and time of your event. Mobility is everything. Life happens fast and the work doesn’t care where you are. To keep up, you’ve got to be informed in real time. 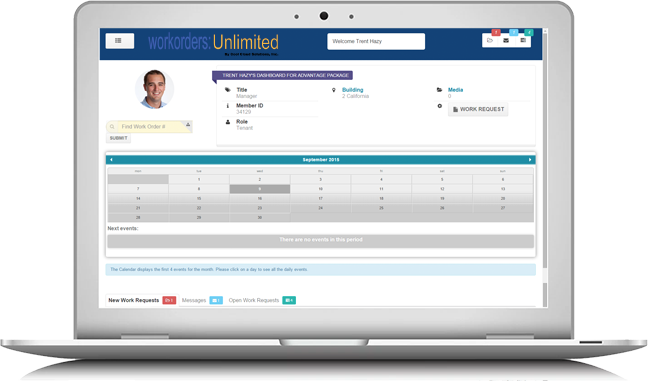 Work Orders Unlimited has mobility built-in, which means you can free your employees from their desk and they can stay abreast of what’s happening in the field. There’s no app to download and Work Orders Unlimited works on any internet connected, mobile device. It only enhances your operation when your staff is freed from having to answer phone calls or emails and enter work requests manually. 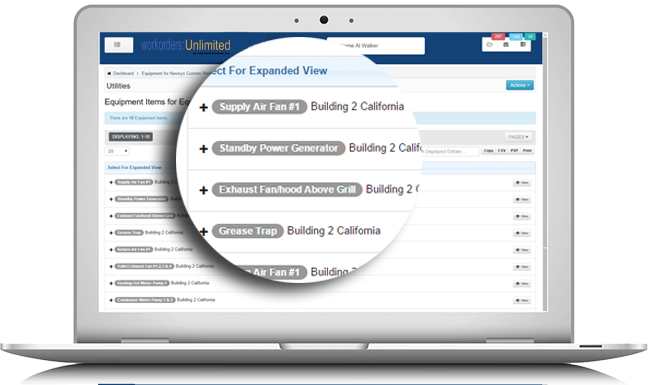 Our Requestor Portal puts access into the hands of your customer base, whether they’re tenants or non-facility employees. With it, they can enter in their service requests at their urgency, 24/7/365. 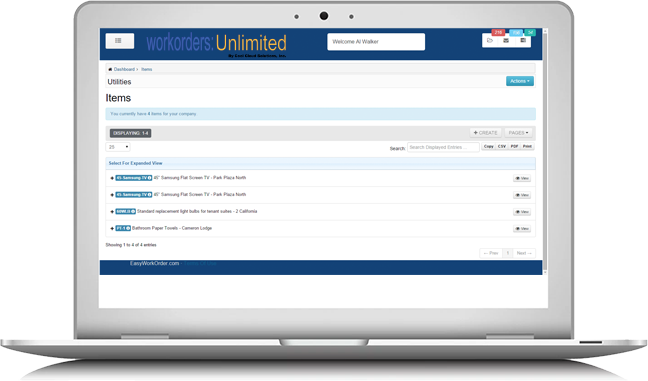 Work Orders Unlimited is highly customizable. From adding your own profile picture to setting various company preferences, you can taylor your implementation to match your operation. Set Various Purge Dates for work orders, messages, etc.